When will my child get his or her first tooth? That is a question that many parents will ask us at Smiles for Kids Pediatric Dentistry and very understandably so. It is quite the milestone! The first teeth to come in are usually the lower two teeth in front. The average age is six months old. However, there is a range for when these new teeth erupt. Some kids will get them as early as few months old and some as late as after the first birthday. You may first notice a bump or thickening of the gums in the area. Then, as the tooth erupts, it’s normal for the gums around the new tooth to still look a bit swollen. During this time, it is very important to start brushing the tooth. This helps clear food and bacteria from the area and helps that swelling decrease. Dr. Lindhorst and Dr. Jadav recommend brushing your child’s teeth once you see that very first tooth coming through. The last thing we want in your child’s mouth before bed is his or her toothbrush. This helps keep the mouth clean overnight and cavity-free! During this time, it’s also normal to notice an increase in drooling and biting on objects. Parents often ask us about using gels to help numb the area. We don’t recommend numbing gels in babies this age due to safety concerns. Cooled teethers really help soothe those aching gums. The American Academy of Pediatric Dentistry recommends that children come in for the first dental visit six months after getting his or her first tooth or by the first birthday (whichever comes first). We’re looking forward to seeing your little one for his or her first visit so we can talk more about an individualized preventative plan, diet, how the teeth fit together, techniques on brushing, what to expect with teething, general developmental changes and more. Please give us a call at (713) 461-1509 if you have any questions or concerns. Silver Diamine Fluoride (SDF) has been in the news recently and Smiles for Kids Pediatric Dentistry offers it as an alternative to traditional cavity treatment. It’s primarily for patients with decay who may be too young or apprehensive for fillings or crowns. It involves no injections, drilling, or pain. Dr. Lindhorst or Dr. Jadav apply this medication with a small brush to each tooth. Teeth with minimal to moderate decay or hypoplasia (defect in formation) can be treated. Any tooth that has very deep decay that is close to the nerve or a tooth that is abscessed cannot be treated with this technique. The actual application of the product takes a few minutes. The entire length of the appointment varies based on how many teeth are treated and your child’s behavior. Once teeth are treated, there is a chance of having to retreat them. Some teeth only need one application. At your follow-up appointment, Dr. Lindhorst or Dr. Jadav will let you know if the tooth needs more applications of the product. The decayed area will harden and no longer have active bacteria causing larger cavities. Some teeth will need fillings or crowns in the future as the patient matures. The main drawback of silver diamine fluoride is that any active decay on the tooth will turn black permanently. It can be removed if those teeth get fillings or crowns in the future as the affected tissue is removed. We hope everyone has had a wonderful first few days back at school. The Smiles for Kids Pediatric Dentistry team was so happy to get to visit with many of you over the summer. It was truly a treat hearing about your summer adventures, camps and classes! We want to congratulate Miss Anna on winning our grand prize in our summer drawing contest. She won a basket full of movie and summer goodies! Don’t forget to RSVP for our 9th Annual Patient Appreciation Party on September 18th! We’re going to watch Oliver and Company over pizza and popcorn at the Studio Movie Grill in CityCentre after we play games, make balloon animals, get some Bingo time in, and paint your little faces! We can’t wait to see all of you there. For infants who are less than 2 years old, the American Academy of Pediatric Dentistry recommends using a tiny smear of fluoride toothpaste to brush baby teeth. The smear of toothpaste should be about the size of a grain of rice. At about 3 years old, you can start using a pea-sized amount of fluoride toothpaste. Most kids have a preference when it comes to flavor. Usually, children's fluoride toothpaste comes in kid-friendly flavors like bubble gum or watermelon. It gets more challenging if you child does not like those flavors. Fortunately, now, many companies make other flavors. You may have to experiment with them until you find the right one. For those that have trouble with all flavoring, there’s toothpaste called OraNurse which is flavorless but still has the benefit of fluoride. The main thing to remember is that Dr. Lindhorst and Dr. Jadav recommend using fluoride toothpaste. As long as you have that active ingredient, we’re happy with any brand of toothpaste that you choose to use. Some of our patients are at higher risk for cavities. This could be due to hypoplasia, crowding, history of decay, oral hygiene, or having braces. For these patients, Dr. Lindhorst or Dr. Jadav may recommend toothpaste with a higher concentration of fluoride. We have these available at our office for the patients that need them. Using this specific toothpaste can help strengthen areas that may be getting weaker or help prevent cavities on those teeth that are just more prone to them. I hope that everyone is having a happy summer! Summertime at Smiles for Kids! For most of you, summer is in full swing! That’s no different here at Smiles for Kids Pediatric Dentistry. We’ve been busy seeing all of the kiddos and catching up on exciting summer plans. Don’t forget to enter our AWESOME summer contest! This year, the kids will have to channel their inner artists. You’ll need to pull out the crayons, colored pencils, and paint! We’d love for everyone to draw a picture of their favorite summer activity and/or vacation. The first place winner will win an AMAZING family summer movie pack. It’ll be filled with movie tickets, popcorn, yummy treats, and summer goodies. You can either drop your picture off at the office or mail it to us. The deadline is August 15th. The winner will be announced on August 17th. We can’t wait to see what you come up with! As always, summer is a great time to get the kids in for their cleanings and check-ups before school starts up. We’ve adjusted our scheduling to accommodate more of our patients. Give us a call to get your summer appointment on the books before it gets filled up! Dr. Lindhorst and Dr. Jadav can’t wait to see you! For children with a crossbite, Dr. Lindhorst or Dr. Jadav may recommend a rapid palatal expander (also known as an RPE). Many cases result from a prolonged habit like thumb sucking or pacifier use, however some are idiopathic. Usually, it’s the result of the upper jaw being narrow. Here are a few common questions that we get asked about these appliances. The American Academy of Pediatric Dentistry recommends correcting a crossbite as early as behavior allows to help minimize issues with TMJ, skeletal asymmetries, changes in soft tissue growth, and wear of the teeth. All in all, it’s to help prevent bigger issues down the line. The appliance helps widen the upper arch to help correct the crossbite. Below is a schematic that explains the before and after. The first appointment consists of fitting bands and taking impressions. Bands come in all sizes and we have to find the right size for two teeth that serve as anchors. After they are fit, molds are taken of the upper and lower teeth. We send the impressions and bands to the lab where they will make a custom RPE for the patient. At the second appointment, we will try in and cement the new appliance with semi-permanent cement. Parents will be instructed when and how to turn the expander daily with the “key”. Every child has a different “prescription” based on the degree of crossbite. At the third appointment (which is usually about 2 weeks later), we check on progress of expansion. Dr. Lindhorst or Dr. Jadav will then decide whether to keep turning or stop turning. If they want to keep turning, they will let you know how many turns for how many days and when to return. Once we have the desired expansion, we will keep the RPE in the mouth for at least 6 months so that the teeth do not rebound and go back to old positioning. Due to the fact that we are expanding the bone and moving teeth, there is some soreness that results. However, most all of our patients tolerate it quite well. When the kids are younger, the suture has not filled in with bone, which makes the whole process much easier. During the active movement time, we recommend giving over the counter pain medications if needed. We always tell parents that it takes about a week for the speech to adjust. Do they have to do anything differently in terms of hygiene or diet? Yes! More time will need to be dedicated to cleaning the appliance and the teeth. Also, in terms of diet, we recommend staying away from chewy/sticky foods and foods that are especially crunchy. After all of that hard work, we don’t want the RPE to break! We will give you a pamphlet that goes into detail about what foods you need to avoid while you have the appliance. I hope that helps answer some common questions about the RPE! What are X-rays?X-rays are invisible beams of energy that pass through the body to yield black and white images of teeth and bones. Why do we need to take X-rays? We need to take them in order to diagnose cavities between the teeth that cannot otherwise be detected, check for abnormalities in the bone, monitor growth and development patterns, and identify missing teeth, extra teeth, malpositioned teeth, or infections. We evaluate each patient individually and take radiographs only when we know it will affect patient care. We take into account age, date of the last radiographs, patient’s specific risk for dental decay, oral hygiene, diet, and any concerns such as trauma, pathology or infection. We strictly follow the American Academy of Pediatric Dentistry’s Guidelines. How are X-rays taken? We place a plastic computer sensor in the patient’s mouth. We will need your child to stay still for a few seconds to capture the image. We use lead aprons with collars and have state-of-the-art digital x-ray machines, both of which reduce radiation area and exposure. How much radiation is a dental x-ray? Each dental radiograph exposes your child to only 0.5 mrem of radiation. Below is a great schematic that puts it into perspective. At Smiles for Kids Pediatric Dentistry, our promise is to use as little radiation as possible while still gathering all the information we need to diagnose and treat your child safely and comprehensively. What is tartar? Over time, our teeth get a sticky film of bacteria on them called plaque. Tartar is plaque that is hardened with minerals from saliva. With regular and effective brushing, most tartar buildup can be avoided since the plaque is removed. Where do you usually find it in the mouth? It is usually near the junction of the tooth and the gums. 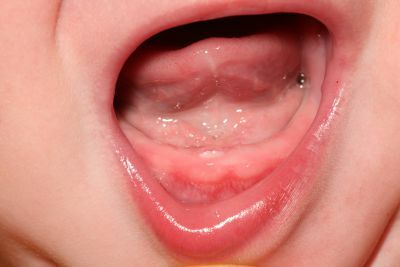 We see most of it on the tongue side of the lower front teeth and on the cheek sides of back molars. Here’s a picture of varying degrees of tartar buildup. When tartar sits next to the gums for long periods of time, the bacteria can irritate the gums leading to gingivitis (gum disease which is reversible) and even periodontitis (more extensive gum and bone disease which is irreversible). Can I remove the tartar at home? Tartar can only be removed by a dental professional. Here, at Smiles for Kids Pediatric Dentistry, our hygienist will gently remove the buildup with specialized instruments. How can I prevent tartar from forming? The best defense is brushing and flossing daily. Regular dental cleanings and examinations can help prevent this type of harmful buildup. For those that are more prone to it, there are tartar control toothpastes available over the counter. I hope this helps answer some of your questions on tartar! Here, at Smiles For Kids Pediatric Dentistry, we’ve launched a new spring contest! With all of the rain that has come our way this past month, we have a beautiful bouquet of flowers blooming in our waiting area! Come by to guess how many flowers are hanging from the umbrella. The contest deadline is May 31st. We will announce the winner on June 1st. The patient that gets closest to the right number will win an amazing summer prize basket. It’s going to include a cool coloring book, bright crayons, fun bubbles, a jump rope, and an awesome movie ticket! Should I switch to an electric brush? Does my child need a spin brush? Will it make his or her teeth cleaner? Nowadays, there’s a huge range of toothbrushes available from ones that play your child’s favorite song, light up, or time his or her brushing. Some are manual, some battery-powered, and others can be recharged. At Smiles for Kids Pediatric Dentistry, we love all options! What works so well about these electric brushes is that they often motivate the patient. They can also help time the patient so that they get their full two minutes of brushing in. So, if your child is more eager to brush with the one that spins and lights up, then we recommend that one! We know that kids rarely get excited about brushing so any little motivator is a positive in our book. In terms of actually getting the teeth clean, both a traditional and electric brush can do the same job. Things to watch out for with these are that children need to be monitored. Small children should not be left to brush by themselves. They do not have the dexterity to effectively get their teeth clean. In addition, they can cause injuries to themselves and their delicate gum tissue. Always make sure that they are using a soft brush. All kids should be brushing with a soft-bristled brush. Hard-bristled brushes can cause damage to the soft tissues and teeth. As always, Dr. Lindhorst and Dr. Jadav recommend brushing two times a day for two minutes each time! Silver Crown or White Crown? When baby teeth have large decay, in some instances, they cannot be restored with a filling. When that is the case, Smiles for Kids Pediatric Dentistry has choices as to what type of crown can be placed. The gold standard of our industry is the stainless steel crown. They have a proven track record and are very durable. Due to their thin, strong, and malleable metal, we can shape them to fit almost any tooth. They are more cost-effective than the white crowns. On the other hand, they are obviously not as aesthetic. To many parents' relief, white crowns for baby teeth are now also available. They are made out of Zirconium: beautiful, white, but inflexible material. Their most obvious advantage is the aesthetics. Unfortunately, because of the hard material, we cannot get them to fit every tooth. We also have to remove more of the tooth structure to fit this thicker crown. Also, due to the nature of the material, it is more likely to break. They cost more than stainless steel crowns as the material, production of the crown, and tooth preparation are longer, harder, and more expensive. There is no right or wrong choice in most cases. If Dr. Lindhorst and Dr. Jadav feel that one will be better for your child than another, they will specify. Otherwise, it is up to the parents to decide which one they prefer. Parents make that decision based on location of the tooth in the mouth, aesthetics, duration of the tooth before it sheds, as well as cost. We are always available to answer any questions about white versus silver crowns. We hope this explains some of the pros and cons of silver versus white crowns! Smiles for Kids Pediatric Dentistry has a new contest! It started earlier this week and will run until February 11th.All the kids have to do is to tell us why they love coming to the dentist. We will have hearts and stars for them to fill out in the reception area. Just have them write what they love! We have started decorating the office with these adorable entries! Dr. Lindhorst and Dr. Jadav will announce one lucky winner on February 16th. He or she will get to take home an entire Valentine’s Day basket filled with a coloring book, crayons, a stuffed animal, and other goodies! We can’t wait to see all of your creative and cute ideas! One of the most common concerns we address at our office is kids having a double row of teeth when the new permanent ones come in. Parents often call it having “shark teeth”. Most often, on the lower jaw, the permanent teeth come in on the tongue side of the baby teeth. On the lower, the permanent teeth usually come in on the side of the roof of the mouth. Sometimes the permanent tooth will not resorb the root of the baby tooth. The permanent tooth will then take the path of least resistance. For these teeth, we recommend an evaluation by Dr. Lindhorst or Dr. Jadav. We can determine whether we would like the patient to try to wiggle out his or her baby tooth on their own. We typically give kids two weeks to wiggle them out. If they cannot do it in that time period, we will often recommend extraction of the over-retained baby tooth. We always need a current radiograph of the teeth to check on root structure, degree of root presence, and any possible anatomical obstacles for extraction. Given that there is enough space for the permanent tooth, it will likely move more into the arch. Possible outcomes of no treatment include gingival irritation/infection, gingival defects on permanent teeth such as recession, and permanent malpositioning of permanent teeth. We hope this sheds some light on a very common issue for our little ones! Here, at Smiles for Kids Pediatric Dentistry, we love to update our parents and patients on the latest and greatest in every way that we can. You can check out our website at www.smiles-for-kids.com for up-to-date information and advice on anything from your child’s first dental visit to which sugary drinks to avoid. Here are some very helpful websites that we’ve found along the way that you can browse during the holiday break. Are you looking for some fun tunes for your little one to brush to? Check out http://www.mouthhealthy.org/en/kids-brushing-playlist. They have a Sesame Street song, a nursery rhyme and even a zombie song for the older kids! Little things like this can make brushing a more enjoyable and less stressful time for your kids! This next one is a real gem. It goes through the 8 secrets to a good dental check-up. It emphasizes planning ahead, practicing age-appropriate dental habits at home, timing it right, using one child as a model for another child, feeding your child a light meal prior to the appointment to avoid crankiness, leaving your own anxieties at the door, keeping cool if your child doesn’t cooperate, and grabbing a few business cards on your way out in case you need to contact your dentist. Check out more at http://www.mouthhealthy.org/en/babies-and-kids/back-to-school. The last one answers a lot of questions that parents often ask Dr. Lindhorst and Dr. Jadav. When will my son or daughter’s tooth fall out? When will the next one likely come in? We have a very helpful chart on our website at http://www.smiles-for-kids.com/eruptionCharts.aspx. Note that everything is a range and some kids teeth earlier than others. This will, however, give you a pretty good idea of what to expect! We hope you enjoy these as much as we did! Happy Holidays! We can’t believe that Thanksgiving is just around the corner! We have special schedule that week to help accommodate our patients. We will be open Monday, November 23rd through Wednesday, November 25th. Monday and Tuesday we will have regular hours. On Wednesday, we are open until 3 pm. We can’t wait to see all of your smiling faces! When you come in, don’t forget to stop by the front desk. Kids can enter our contest by guessing how many M&Ms are in the jar. We’ve gotten quite a few very close guesses so far! If your little one guesses right, he or she could be the winner of a Target gift card! Second and third place winners get movie tickets! The last day to enter is Wednesday, November 25th. The winner will be announced Tuesday, December 1st. Here, at Smiles for Kids Pediatric Dentistry, we want to give thanks for all of our wonderful families! In case we don’t get to see you at the office, we want to wish each and every one of you a safe and memorable Thanksgiving holiday! As anyone who has had braces knows, keeping them clean requires more time, diligence, and attention. At Smiles for Kids Pediatric Dentistry, we stress good oral hygiene during orthodontics. During hygiene appointments, we review brushing techniques and flossing. We answer any questions and give specific recommendations for every patient. We formulate an individualized preventive plan for every patient so that they not only come out with an amazing smile, but a very healthy one! If we notice a patient is having difficulty keeping their teeth clean, we will recommend a cleaning only appointment in 3 months before the next 6 month appointment. This way, we can assess how they are doing and help keep those smiles healthy! Some patients may also need fluoride rinses and/or fluoride gels as part of their plan. Poor oral hygiene during braces can have a serious and lasting effect on a patient’s teeth and gums. Without optimal brushing and flossing, plaque tends to sit on the teeth. As the bacteria accumulate, it creates acid. This forms white spots and even cavities on the teeth. The gums become red and inflamed, which can cause gingivitis and bad breath. These pictures above show what happens when you have poor oral hygiene during braces. As plaque accumulates around the brackets, we can see breakdown of the tooth. It starts out as faint white lines (permanent white spots) and can progress all the way to brown cavitations. This cannot be reversed! At Smiles for Kids, Dr. Lindhorst and Dr. Jadav are dedicated to keeping your child’s teeth and gums healthy during orthodontics! The cooler, fall weather is finally here! That means that Halloween is right around the corner. Some of our kiddos are already thinking of cute costume ideas! It’s almost time for our annual Halloween Candy Buy Back program! For the 4th year, Smiles for Kids Pediatric Dentistry has joined Operation Gratitude in donating candy and toothbrushes to our troops. Every child is eligible to receive $1 per pound for all unopened, uneaten Halloween candy. We encourage all of our participants to also write a nice note or letter to the troops so that we can deliver them alongside toothbrushes and the candy. We will have pen and paper ready for you at the front desk if you forget to do it at home. The program goes for 2 weeks, starts on Tuesday, November 3rd and ends on Friday, November 13th. We hope you have a safe and fun time trick or treating! We look forward to seeing all of your smiling faces come by the office soon! We will have the scale ready for weighting and money ready to exchange for your CANDY. What is enamel hypoplasia? It is a tooth defect that results in less quantity of enamel than normal. It ranges from very small areas to an entire tooth being discolored or disfigured. Sometimes, it is only an aesthetic concern. Other times, these teeth can be sensitive and may be more susceptible to cavities. It can change the color, size, shape or texture of the tooth. All or part of the tooth may look more white or brown as compared to other teeth. It is difficult to pinpoint the cause but it is thought that environmental and genetic factors during tooth formation cause this condition. This includes trauma to the tooth during formation, infections during pregnancy or infancy, hypoxia, and genetic conditions. Treatment depends on the severity of the hypoplasia and if the patient is having symptoms. In some cases, careful observation is enough. In minor cases, we can place sealants. Dr. Lindhorst or Dr. Jadav may need to do a filling or place a stainless steel crown to help protect the tooth. When the patient is older, he or she may need a full coverage porcelain crown or veneers. The American Academy of Pediatrics and the American Academy of Pediatric Dentistry both recommend that your child’s first dental visit be on or before his or her first birthday. You may be wondering what we do at a first visit and why it’s so important to start early. So here is an overview of what we do and talk about during those early visits. ORAL DEVELOPMENT - A lot of changes happen in a child’s mouth from when they are born until they get their full set of baby teeth. It is important for us to let parents know what to expect. We will talk about timing of new teeth coming in, what to expect when they are erupting, and how many of them are left to come in. Dr. Lindhorst or Dr. Jadav will show you if your child has any variations of normal with their teeth and what that means for your child such as teeth that have extreme sizes, missing or extra teeth. By starting early, we can let you know if we see any early signs of decay. Many times, when we see these very early signs, we can suggest diet or oral hygiene changes that can prevent having to do treatment on these teeth. Aside from his or her teeth, we will be checking the tongue, cheeks, jaws, and tonsils. We want to make sure every aspect of your child’s mouth, bite, and jaws look healthy! ORAL HYGIENE - Parents often ask when to start brushing and how to brush their little ones. We will review and demonstrate when to start, how to position them, and what toothpaste to use. At our office, we rate oral hygiene on a scale from 1-5 with 5 being the best. That way, you can see how well you are brushing at home. DIET – Diet plays a major component in cavity formation. For babies, we will review bottle use. For toddlers, we talk about gummy snacks, sippy cups, and juices. For older kids, we will review the types of foods (ooey, gooey, sticky) to try to avoid. Sippy cups, juices, and candy are just a few of the nutrition topics we will cover. HABITS - We will talk about habits that your little one may have like thumb sucking, a pacifier use, or nail biting. Although a lot of these habits are age appropriate, we will review long term changes that they can cause in terms of his or her bite and when is a good time to wean the kids off of them. We will also discuss in detail methods and tools that can help parents facilitate this process. TRAUMA - We will review what to do if and when your child ever has any trauma to the teeth. It’s very common as the kids are starting to walk, run and climb and we want parents to know what to look for, when to call us, or when to come see us in the office. Most of all, we want you and your child to be very comfortable here. The more your child visits for these early, easy "well baby" appointments, the more likely that he or she will realize that coming to the dentist is fun! We can’t wait to meet your little one! We are so excited that summer is here at Smiles for Kids Pediatric Dentistry. We love hearing about all the fun adventures our patients are taking. We can’t wait to see all of our amazing kids over the next few weeks! Come by and enter our summer contest starting Tuesday, July 14th when we are back from our summer vacation. Bring out your inner artist! We’ll have fish, flip flops and suns to decorate. Every kid can choose one and make it their own while they are here. With each piece of artwork, we’ll decorate our waiting room with a summer scene. Please don’t forget to have the kids write their names on their masterpieces so that we can let them know if they win. We’re on the hunt for the most creative, spunkiest, and coolest decorations! The winner gets a fantastic summer movie fun pack for the whole family! It will be filled with movie tickets, popcorn, and summer goodies! The winner will be announced Tuesday, August 18th. With all of your creativity, we know we will be able to decorat e our office with a splash of fun!